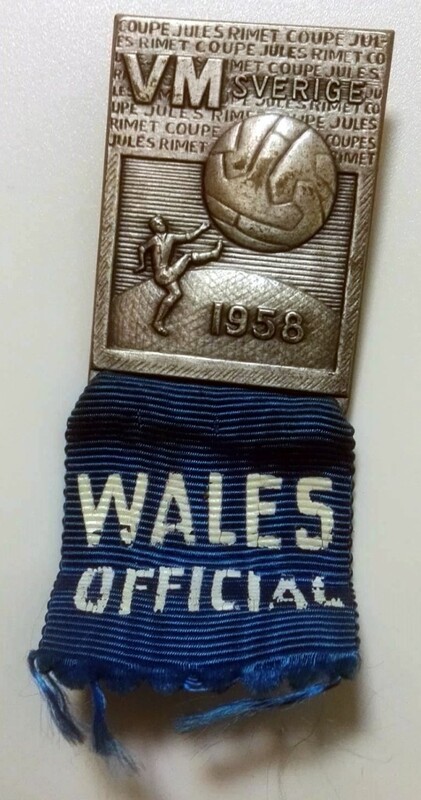 This pin badge was given to a Welsh match official taking part during the 1958 World Cup in Sweden. It was made by Sporrong & Co of Stockholm. The 1958 World Cup was the last major football tournament final Wales managed to reach, until they qualified for the upcoming Euro 2016 competition in France. Fingers crossed they won’t have to wait that long for another one!